SEED BASED NUTRITION. BY CREATING A NEW CATEGORY IN HEALTH SUPPLEMENTS. NOW IS THE IDEAL-TIME TO JOIN A PROVEN COMPANY WITH INCREDIBLE PRODUCTS. BRINGING YOU NON-GMO SEED BASED NUTRITION TO THE WORLD IN ITS UNTOUCHED, NATURAL AND PUREST FORM. Click On Play and Watch the Video Below. 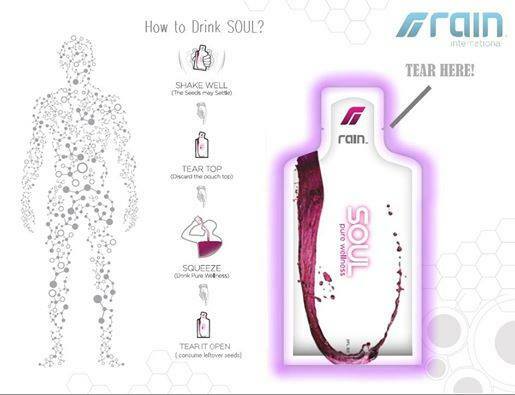 ​Rain Soul: A New Category Creating Product. Soul is purely a seed based nutrition supplement, which has made major waves around the world. Combining the synergistic blends of exotic seeds, Soul fills the gaps in your diet. Black cumin seed, chardonnay grape seed, black raspberry seed, and D- Ribose are each extremely beneficial on their own. But, when combined, their benefits are greatly magnified. Welcome to the most powerful antioxidant, anti-aging and anti-inflammatory product on the market. We’re the first and world leader in nutritional supplements based entirely on Seed Based Nutrition. Only the most powerful seeds have been selected then naturally enhanced in our unique cold-press process. NEUTRALIZE FREE RADICALS. Oxidation caused by free radicals is a major source of health problems affecting millions of people each year. Soul plays a critical role in supporting optimal health by providing key nutrients your body needs to be healthy and truly live a life without limits. BUILDS ENERGY RESERVOIR. Soul is sustained natural energy for both mind and body. Each 2-ounce packet infuses you with core nutrients needed for enhanced mental clarity and living an active lifestyle. Unlike other products or energy drinks, Soul contains no harmful and addictive chemicals that create temporary energy boosts or resulting crashes. PROMOTES MUSCLE HEALTH & FLEXIBILITY. Did you know optimal human physiology requires 12 vitamins, 12 minerals, 9 essential amino acids and some essential fatty acids? Our seeds provides these nutrients and so much more. The result is a stronger body with greater mobility to help you maintain and achieve greater physical activity. Most seeds make up a very small percentage of the total weight of a berry or flower, but they contain the most potent health benefits in their tiny packages. The foundation of all of our products are the seeds we've selected - they're the genesis of life. You've probably heard about berries and herbs being great free-radical scavengers. What many don’t realize is the most powerful part of those ingredients, where all the benefit comes from, are the seeds! Ribose-D is a five-carbon sugar found in every cell in our bodies that combines with oxygen and ATP (adenosine triphoshate) to give energy t﻿o each cell. Ribose is also present in RNA (ribonucleic acid), which is one of the main information carriers of living organisms. As the world leader in Seed Based Nutrition, we continue to utilize advances in science and explore new discoveries in nature to provide the most powerful and absolute best health supplements offered. The seed is the genesis of life. Each seed has been scientifically researched and selected for their unique beneficial properties to combat today's health challenges. Phytochemicals is a general term that refers to naturally occurring chemical compounds in plants that have antioxidant properties. There are thousands of different antioxidants that have been shown to promote good health and support every bodily function. Soul is the culmination of our research and development efforts. It’s our crown jewel, our flagship product. And it tastes absolutely amazing! Soul is 2 ounces of ready-to-drink natural goodness in a convenient take-anywhere pouch. This proprietary blend of black cumin seed, black raspberry seed, chardonnay grape seed, and D-ribose offers a blend of vital nutrition not found in any other product in the world. 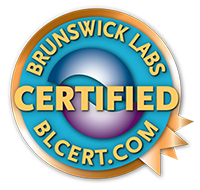 Brunswick Labs is an independent bio analytical laboratory serving the nutraceutical industry. Brunswick Labs has found Soul to be an extremely effective nutritional supplement that supplies powerful unique compounds, antioxidants that promote health. Soul’s unique formula provides a synergistic blend. Click on the play button to listen to David Bell from Brunswick Labs below. Our products at Rain International are manufactured at a top-of-the-line facility in the United States. With NSF (The Public Health and Safety Organization) certification, you can trust our products to be of the highest quality. In process testing and inspection is performed by cGMP standards. You can read about our NSF certification here. We utilize a proven cold press method, where seeds are naturally pressed, to increase benefits. This method grinds seeds and gently extracts it’s oils and flours to make it more digestible for human consumption. This process uses all parts of the seed and is healthier, producing zero toxins, which is good for everyone. The cold pressed process keeps seed nutrition intact and makes its benefits bio available. Both of our GMO-free products, Soul and Core, are processed this way. Soul is able to maintain all the essential nutrients and not lose any of its rich nutrients. Core also benefits from the cold press process maintaining all of the plants natural enzymes. Our products come vacuum-sealed in Innovative Fleopaks™ to preserve their nutrients naturally. These packs are securely tested to keep quality levels consistently higher than the competition. The facility that manufactures our products is one of the most advanced and efficient facilities in the US at 45,000 sq. ft. with a 250 million unit capacity. And here’s the best part, it’s located near our headquarters, giving us limitless capacity and quality control. Learn more here. Take a Inside Look at the process of making Rain's flagship product SOUL. Recommended amounts vary per person. Start by taking one Soul and one Core each day, adjust as needed for your lifestyle. Take between 1-4 packets of Soul each day, take between 1-2 packets of Core. Will it help me with my health problems? What types of things does it heal? While we cannot claim that Soul and Core cure anything, they definitely will help support many bodily functions! In fact, almost no product “cures” illness–the body does. Both Soul and Core give needed nutrition to the body so it is able to keep itself healthy. It honestly doesn’t matter, as long as you aren’t dehydrated while taking it. Many vitamins and minerals are water soluble, so it maximizes the benefits to be hydrated while taking Soul and Core. You can take each of the products as is. But, since it tastes good, some of our customers have been known to put it on toast, in smoothies, eat it frozen, etc. Yes, as long are your child doesn’t have allergies to any of the ingredients, which is uncommon. Always check first. Unfortunately at this time Rain Soul and Rain Core have not been certified organic. There is currently no process for international organic certification, and since we source our ingredients from all over the globe, they are not considered certified organic. But you can rest assured that our products meet other high standards that attest to the quality of our ingredients. Our priority at Rain International is your health, and we want all our customers and partners to be confident in the knowledge that our products do not contain any materials that would be harmful to your body. Yes! Our products are completely safe for pregnant or breastfeeding mommies everywhere. Of course! They may even help maintain blood pressure and glucose and cholesterol levels already within normal range. Good luck with your treatments! AS ALWAYS WITH ANY PRODUCTS. PLEASE CHECK WITH YOUR DOCTORS FIRST. Seeds are mother nature's secret, naturally concentrated with the elements of life and vitality in their most powerful form. We utilize these Non-GMO seeds in their entirety, with a unique cold press process to maximize their benefits and bio-availability. Ancient civilizations revered certain seeds for their beneficial qualities, and many spoke of the same seed: black cumin. 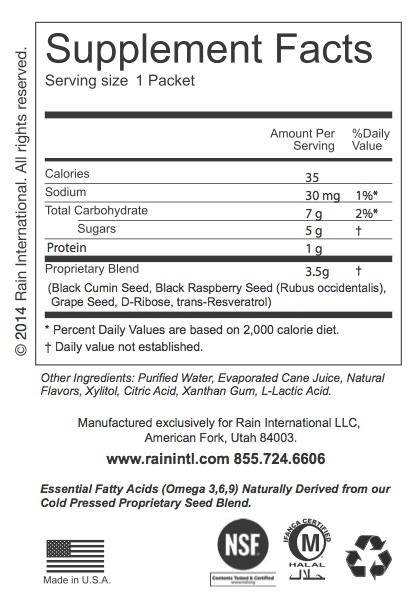 Contemporary science shows that the healing properties of black cumin are due to various compounds it contains. Fill Out the Contact Me Form at the Bottom of this Website. Click On Play and Watch Jed Nielson's Testimony Video Below. Click On Play and Watch Colleen Cannon's Testimony Video Below. Click On Play and Watch Camille's Davis Testimony Video Below. 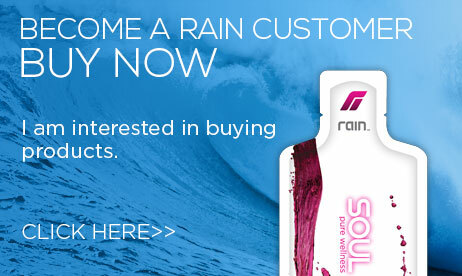 ﻿﻿Order a 30-Day Supply of Rain Soul Trial Samples. COME JOIN and PARTNER WITH the FASTEST GROWING TEAM In Rain International. to learn how you can get some Rain Soul Samples Now! Yes! Please add me to your RainSoul/Updates mailing list today! ​Your information is secure and we respect your privacy! 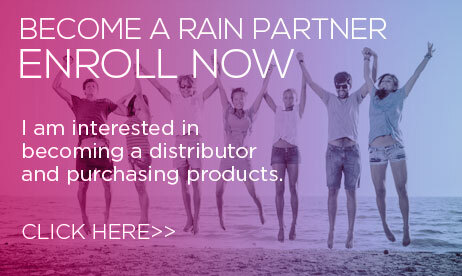 Become a Rain Partner Today. 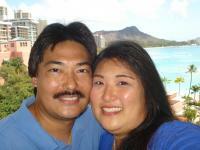 Rain Partner's (also known as distributors) are the heart and Soul of our organization. All around the world, our Partners are building networks of like-minded individuals to create additional income opportunities. For those looking to enhance their finances, we've got a compensation plan that is second to none. Whether you're looking to start small or go big time, we're here to provide you with education, training, support and encouragement to help you succeed. Through your passion and hard work you can create an opportunity to live a life of abundance. Rain Soul, Rain Core and Rain Form by Rain International, is available in all 50 States and Canada.